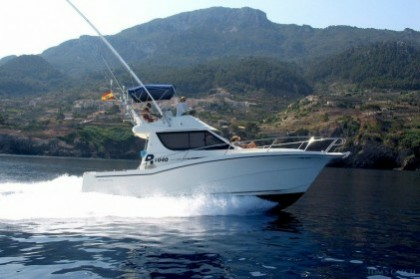 Fishing in Mallorca offers several fishing opportunities, but without doubt the specialty is tuna fishing. 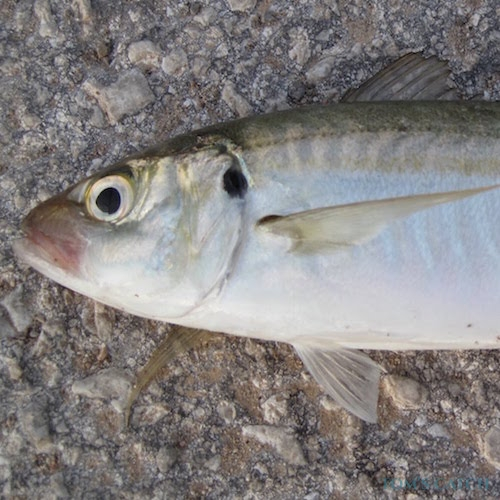 The Balearic Islands and the area between Ibiza and Formentera are the two most important places for the reproduction of this species in the Mediterranean. 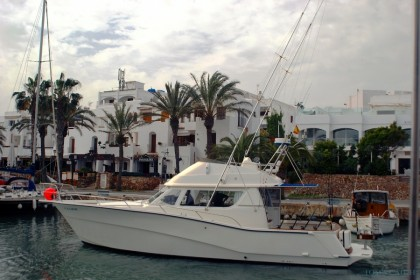 Notably the waters off Alcudia, northern Mallorca, host a population of tuna that lives there all year round. 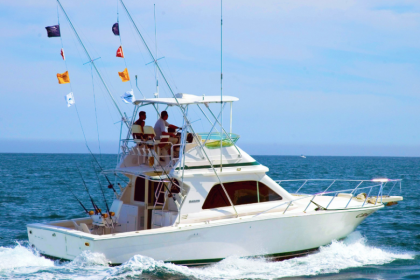 For offshore fishing it is one of the best places for bluefin tuna. 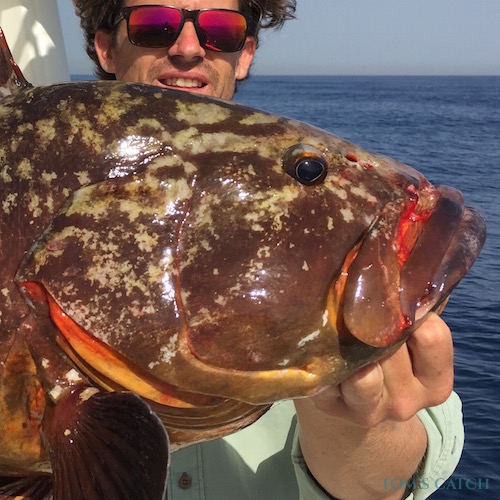 Whilst Amberjack, Dentex, scorpion fish, dorado, sea bream and snapper are the top species when inshore fishing in Mallorca. Caproig (scorpionfish): They eat small fish and crustaceans and shed their skins every two weeks. 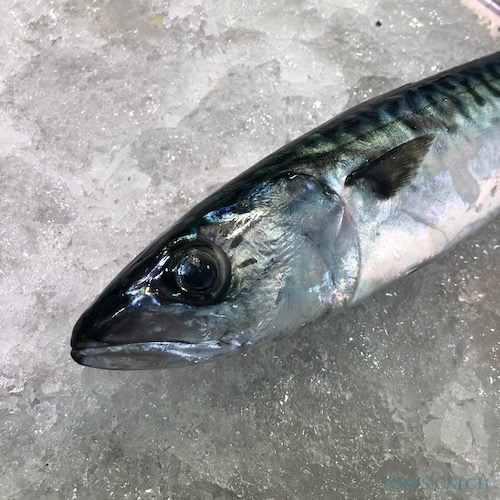 It's a beautiful fish highly desired by fishermen of the Balearic Islands, and they can be deep fished in Mallorca during most of the year with worms, sardines or squids. 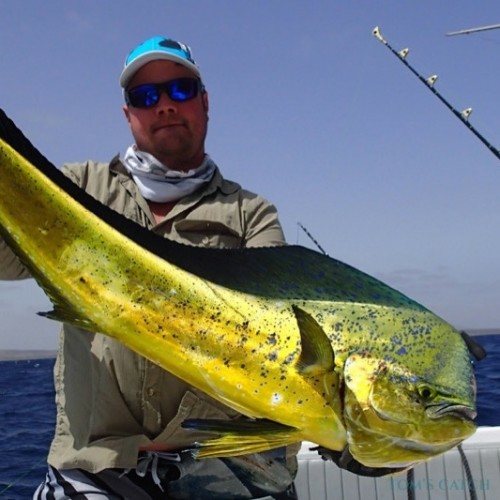 Dolphinfish: The adult male and female dolphinfish can be told apart by their different fronts. The male one is sharper whereas the female is more rounded. 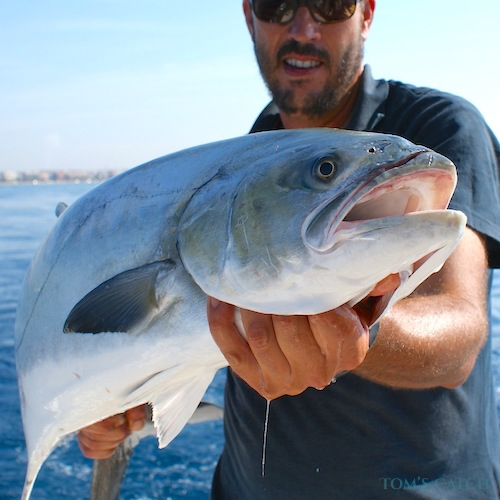 The best months for fishing them in Mallorca are September and October. 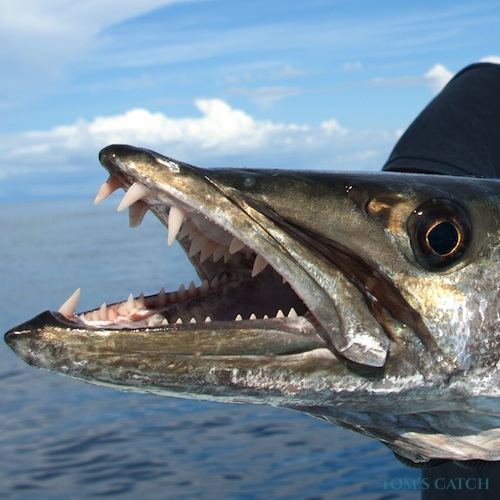 This is a voracious species, caught mainly by trolling with small lures and feathers. They are good fighters who can jump during combat. Bluefin Tuna: Mallorca and Balearic Islands are one of the most important spawning grounds of this "king of the seas." 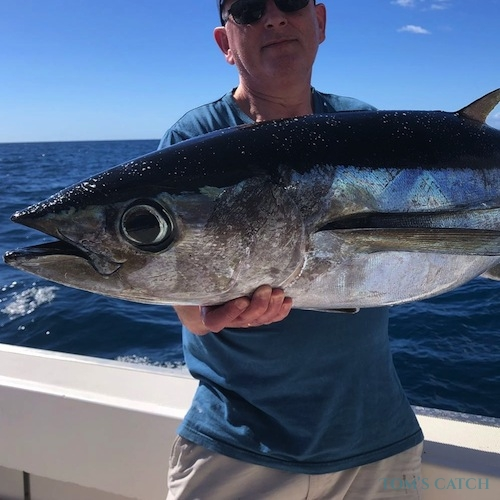 Although the best time to catch tuna is the summer when the waters are warm, bluefin tuna can be caught throughout the year in the waters of Alcudia. 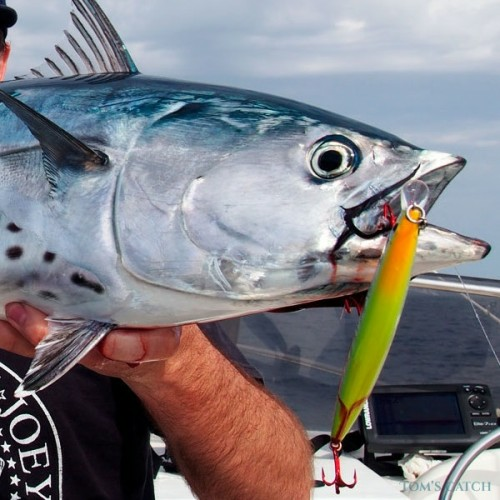 Tuna does not usually hunt in surface water as it feeds on mackerel at big depths below 10m. Due to this, there are not many fans of fishing tuna in Mallorca, who practice spinning to capture them. Albacore: The Albacore often lives in deep sea. 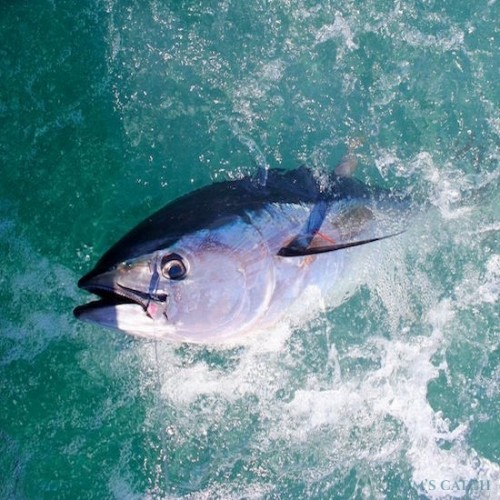 Albacore is a valuable food and is also appreciated by sport fishermen. 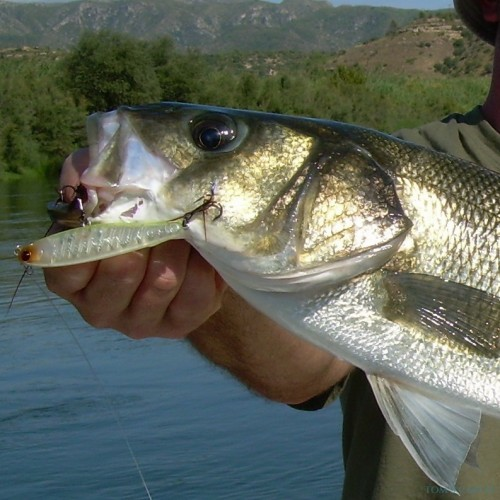 Between May and August, you can fish them in Mallorca by trolling. Swordfish: The swordfish is a migratory predator that is characterized by its long, flat peak (like a sword). At the adult stage, they lose all their teeth and scales. 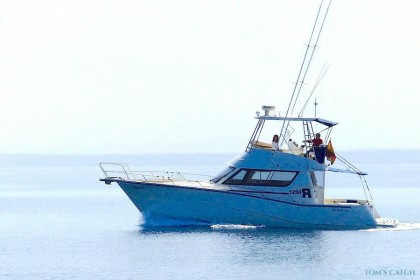 The winter months are the best time to capture swordfish, although it is an uncommon fish and fishing it is not easy. 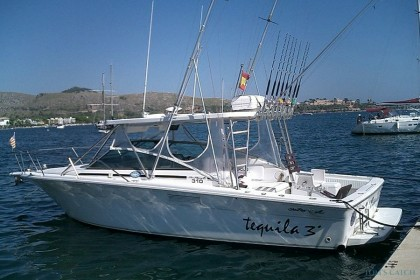 Spring: Fishing in Mallorca in late May, is characterized by species such as bluefin tuna, white tuna (albacore), swordfish, short bill speerfish and dorado (dolphinfish). 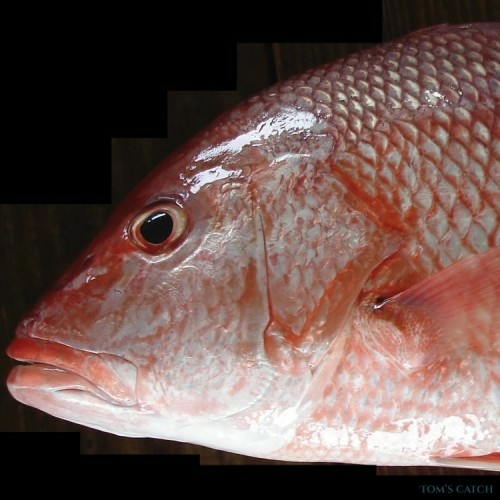 Red tuna pass through the channel of Ibiza, winding their way across the Gulf of Valencia to the Delta del Ebro to spawn in the Balearic Islands, the Gulf of Leon and other areas. These are large specimens such as albacore of 10kg-20kg and 15kg–50kg tunas. It is usually best to fish them with the trolling technique. Sometimes you can also catch some short bill speerfish, but this is occasional. Summer: In June, shoals of fish move in places called the "S" and "Tower", located in southern the island of Mallorca. 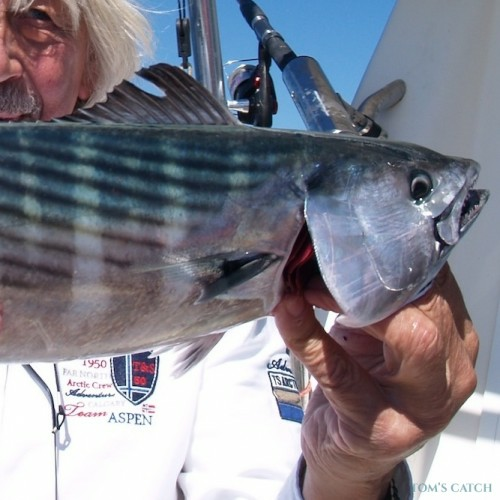 In June and July, the albacore move to "Ses Mamelles". 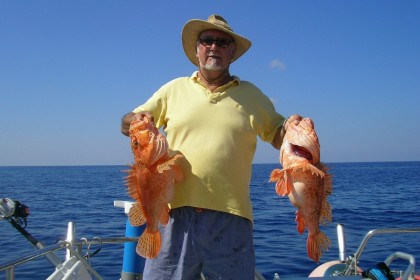 In Mallorca in summer, you can fish mainly by chumming and the best areas are between Majorca and Ibiza, north of Cabo Formenter and also an area located to the east of Porto Colom and Porto Cristo. 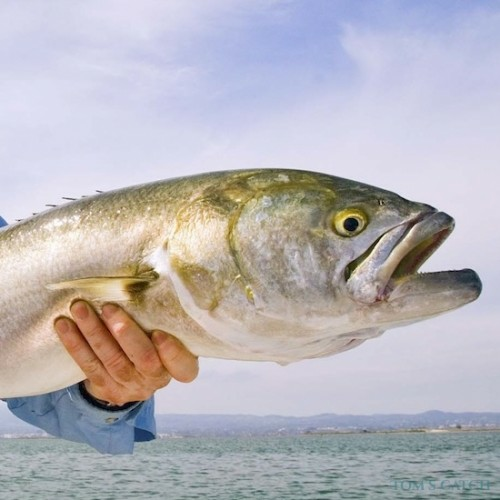 Winter: Fishing in Mallorca during the winter months, as throughout the year, can be done with big game fishing. 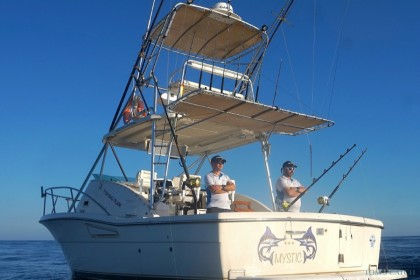 Using this fishing technique, we will find a wide variety of species such as "Caproig" black spot sea bream, conger eel and forkbeard among others. You can also practice squid fishing. 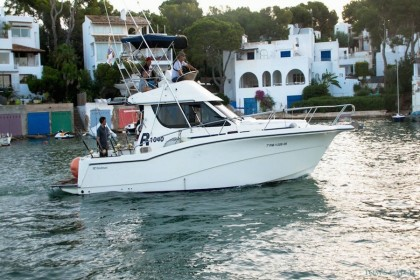 All year:: Fishing in Mallorca is successful throughout the year. 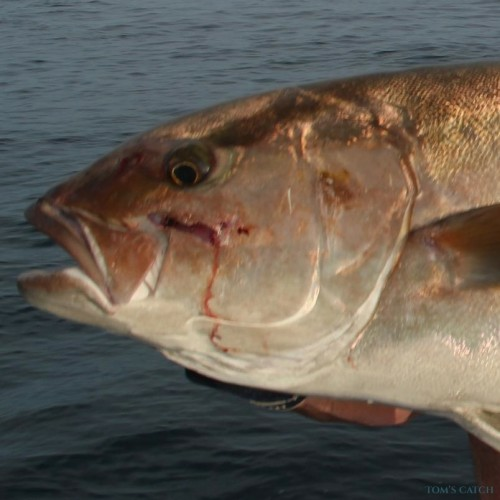 You can fish by jigging (dentex, amber jack, mero), but you must invest many hours. 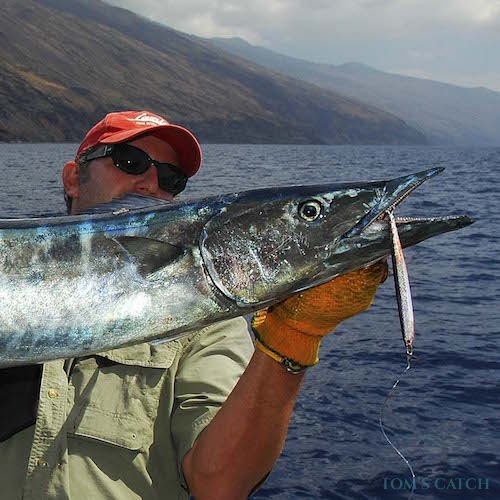 You can also practice big game fishing. 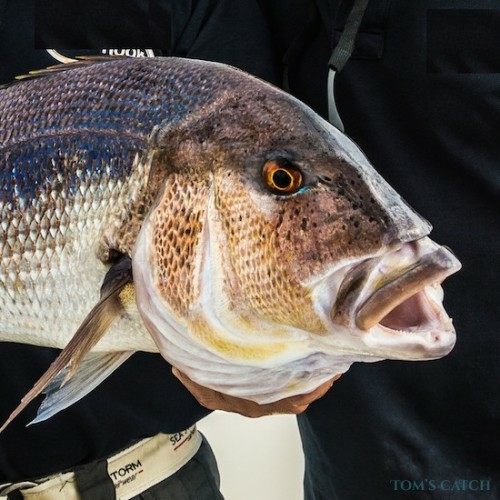 Bottom fishing is done using baits like worms, squid, cuttlefish and sardine. 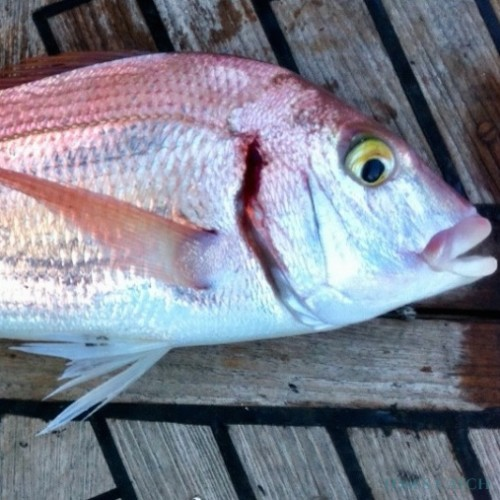 Black spot sea bream, forkbeard, white sea bream, "caproig", mackerel, grouper and conger can be fished. 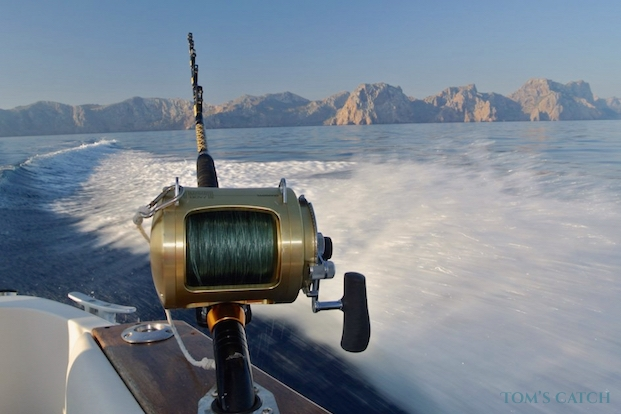 In Alcudia, you can fish bluefin tuna all year. A few miles from the coastline is the "song", where the ocean floor falls 1000m. 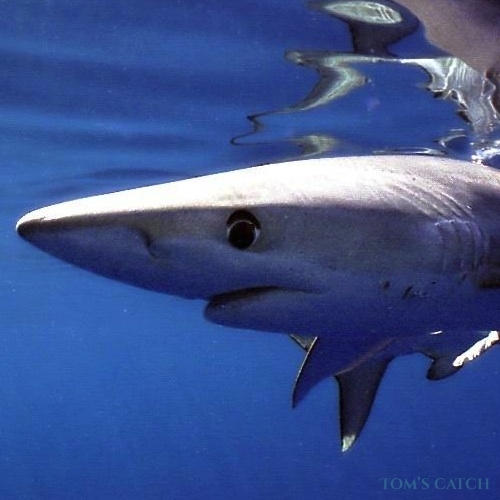 Tuna and swordfish permanently live in this area and feed mainly on mackerel. In this area of Mallorca storms are very common, although on calm days, you can enjoy authentic landscapes of the waters of Alcudia. Apart from fishing in Mallorca you can also go cycling, kite surfing, mountain biking, wine tasting experience, snorkeling & diving, sailing, hiking and much much more. To arrive in Mallorca, you can go by plane and land at the airport of Palma de Mallorca which is 8km east of Palma, the capital of Mallorca. Once on the island, you can use the well connected rail, metro or bus services. 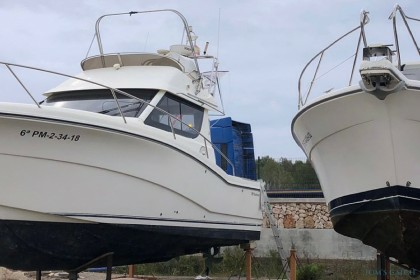 remember that the fishing charters in Mallorca normally have the fishing license included in the price, so you don't need to buy one if you're chartering a boat.